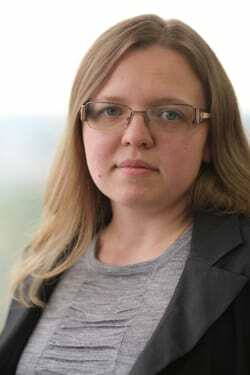 Tetiana has 13 years of experience advising on all aspects of Ukrainian competition law: general competition compliance, merger control, vertical and collaborative agreements, abuse of dominance, as well as on unfair competition and consumer protection issues. She regularly represents clients before the Antimonopoly Committee of Ukraine in investigations and sector inquiries, develops competition compliance programs, and delivers training to client management and sales and marketing employees. Since 2008, Tetiana has been listed in the Best Lawyers Directory as a recognised expert in antitrust. Ms Vovk counselled ABB, Bayer, Coty, Leroy Merlin Ukraine, L'Oreal, Metro Cash & Carry, Nestlé, Nissan Motor, Novartis, Philip Morris, Shell, Tetra Pak, Teva, Toyota Ukraine, the Walt Disney Company and many others on various competition compliance matters.